Kelleners Sport is pulling out all the stops. With their new ‘Munich’ model, the Southwest German tuning specialists have once again set striking accents in terms of wheel design. The one-piece cast-aluminium wheel is distinguished by five concave double spokes running from the sunk-in hub to the very outer edge of the rim. In this way, the wheel looks bigger regardless of whether the 18, 19 or 20 inch version is fitted. Relief-milled spokes also provide for an additional weight loss. 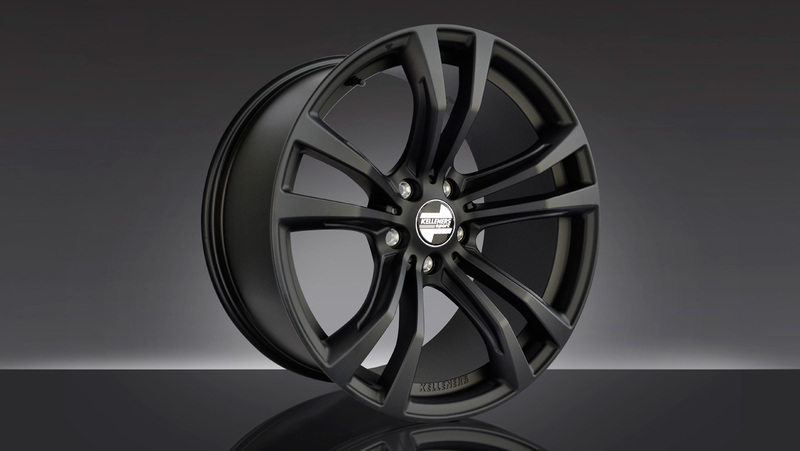 The ‘Munich’ wheel comes in three attractive colours and fits all BMW automobiles except the X5 and X6 SUVs. While the ‘graphite silver polished’ version gives the wheel a discreet but elegant shimmer, the ‘matt black’ wheel looks particularly dramatic. ‘Munich’ is available in the following dimensions: 8 x 18, 8 x 19, 8.5 x 19, 9.5 x 19, 8 x 20, 8.5 x 20 and 10 x 20 inches. In all cases, the bolt-hole circle is 5×120 mm. For drivers of 3 Series (F30/F31) in particular, the ‘Munich’ wheel design also promises visual pleasure and unadulterated driving fun from the very first moment: The wheels come in the standard BMW dimensions (width and offset) and are officially approved in accordance with Directive ECE R124. This means that in many countries, especially within the EU, there is no need for homologation and an entry in the vehicle papers! This also applies in combination with sports suspension systems, providing they have a general certification (ABE in Germany). Bodywork modifications are also unnecessary. 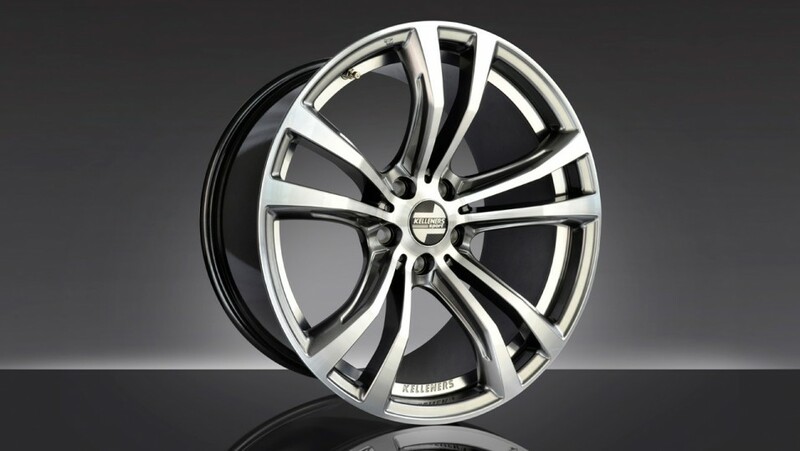 As in the case of all other wheel designs by Kelleners Sport, the ‘Munich’ aluminium wheel is characterised by its low weight. This leads to a reduction in the unsprung weight and, in turn, to even more dynamic handling. Weight optimisation is a factor taken into account by Kelleners Sport in the initial design stage, which results in particularly good looking wheels of the highest technological standard. Further information about Kelleners Sport products can be found on the internet at www.kelleners-sport.de.